Mpumalanga crisis: why is nobody listening? Photo by Mpumalanga Tourism & Parks Agency. 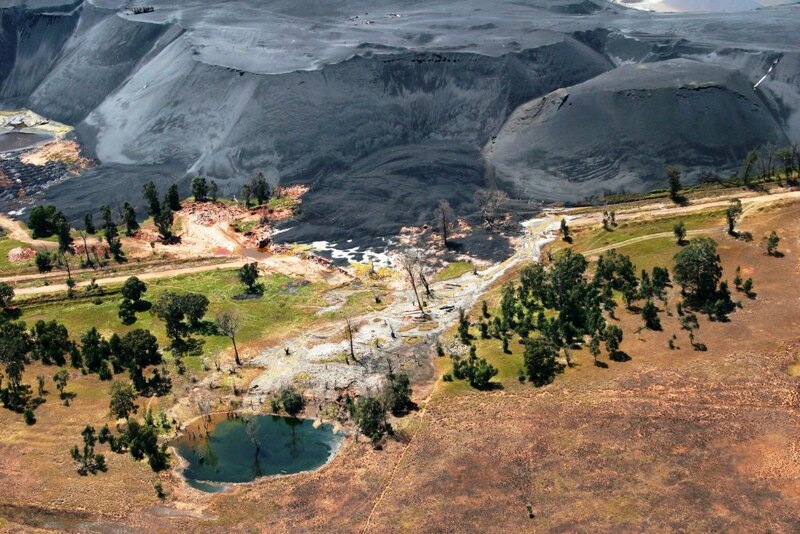 OPINION: A desperate battle is raging across vast tracts of Mpumalanga between coal mining on the one hand and water preservation, food security and tourism on the other, writes Tracey Davies of the Centre for Environmental Rights. For at least the last five years scientists, academics, conservation organisations, tourism authorities and NGOs have been issuing dire warnings about the largely unregulated rampant spread of coal mining in Mpumalanga, and the devastating impacts that this is having on South Africa’s food and water security. Year after year, the problem gets worse. More reports are issued. Nothing changes. Why is nobody listening? In November 2011, WWF-SA released its Coal and Water Futures in South Africa report, detailing the rapid degradation of the critical Olifants river catchment as a result of coal mining. WWF warned that prospecting and mining rights for coal were "being issued in some of our most precious and sensitive catchments", and that "no government department is currently assessing the predictable cumulative impacts of mining in sensitive areas". The report listed a series of actions necessary to stem the tide of destruction, not one of which has been implemented. In October 2012, the Bureau for Food and Agricultural Policy released a pilot study on the impact of coal mining on agriculture. 46% of South Africa’s total high potential arable soils are found in Mpumalanga, and the study found that "at the current rate of coal mining ... approximately 12% of South Africa’s total high potential arable land will be transformed". 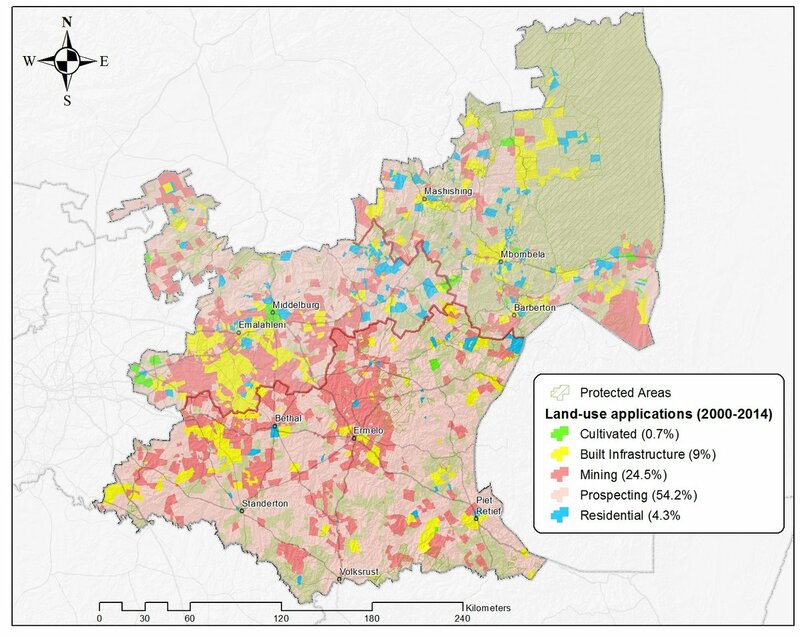 A further 14% of that arable land was subject to coal prospecting applications. The study assessed the impacts of this transformation, ranging from the loss of maize production and resulting price increases to the loss of employment, soil degradation, water and air pollution and health impacts. It concluded that "the effects of coal mining on agriculture are immense and some effects are irreversible." 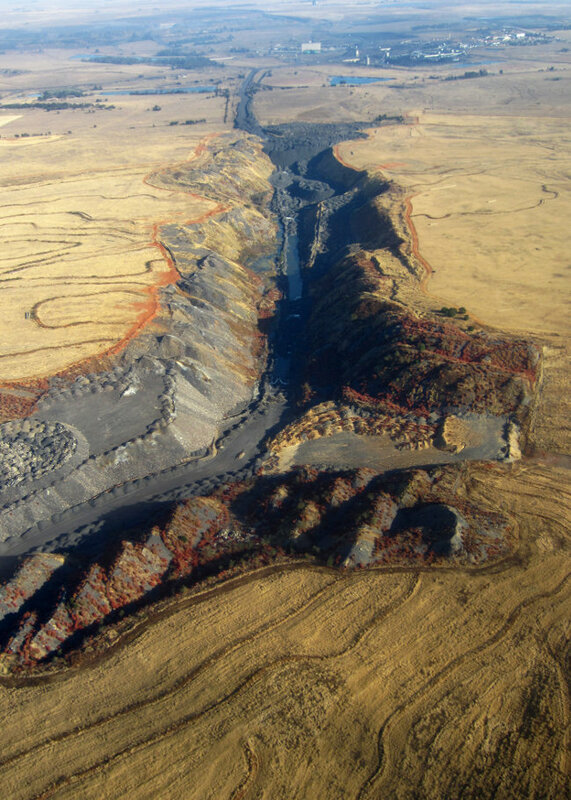 Open cast coal mine in Mpumalanga. Photo by Tracey Davies. In August 2014 the Bench Marks Foundation released its Policy Gap 9 on South African coal mining. This report contains an exhaustive analysis of the problems created by the extraordinary concentration of coal mines in Mpumalanga: the awful living conditions of mine-affected communities and the lamentable failure of mining companies to meaningfully or positively engage with them; the devastating impact of coal mining on previously arable land; the impact of air, water and soil pollution on farming activities and human health; mining companies' poor compliance with legal and regulatory requirements for environmental protection; the almost total lack of compliance monitoring and enforcement by the Department of Mineral Resources; and the "extremely cavalier attitude [of the South African mining industry] towards the closure of mines and the rehabilitation of the environment." These reports contain terrifying statistics and dire warnings about the consequences of doing nothing to stop this impending crisis. But very few people seem to be listening, and even fewer seem to care. But what happens in Mpumalanga will have consequences far beyond the boundaries of just this province. And the same patterns are being repeated elsewhere, in particular at the moment across vast areas of Limpopo. Unless we want the dominant South African landscape to resemble the coal-blackened environs of Emalahleni in decades to come, something needs to change. Mpumalanga Tourism & Parks Agency Land Use Applications. Taking into account overlaps, mining and prospecting rights and rights applications cover 61% of Mpumalanga’s land area. Recently I was privileged to be taken on a flyover of central Mpumalanga by Bateleurs pilot Karl Jensen. The two-hour flight covered the area boundaried by Kriel, Hendrina and Carolina to the south, and Belfast, Middelburg and Emalahleni to the North. As a mining-focussed environmental lawyer I thought I had a fairly good grasp of the situation in Mpumalanga. But I was flabbergasted at the extent to which coal mining has transformed vast swathes of the landscape. The scale of the devastation is staggering. For almost the entire duration of the flight, we flew over a coal mine every couple of minutes, each a vast acreage of mutilation: enormous pits gouged out of the earth, acre upon acre of topsoil and overburden piled into lifeless mounds, streams and rivers diverted, and poisonous water pooling at the bottom of abandoned pits. 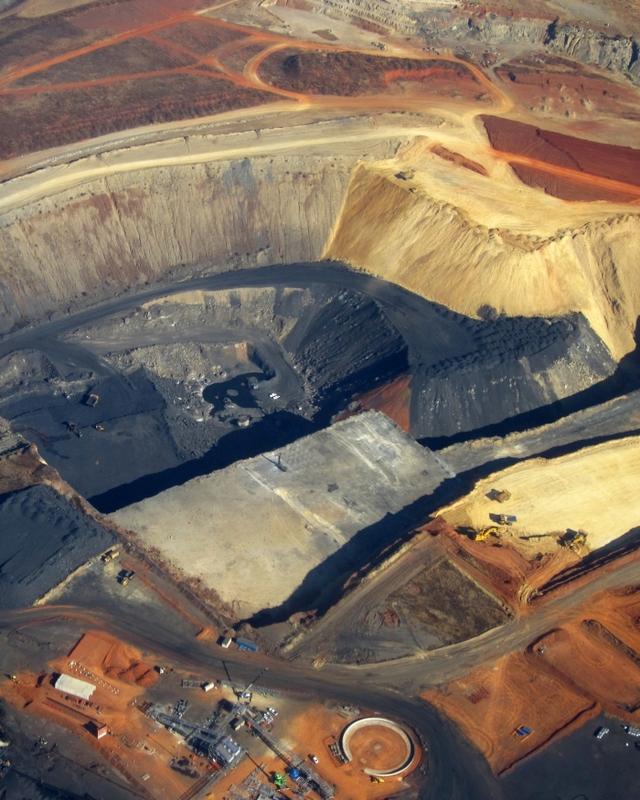 All coal mining licences contain conditions requiring so-called "concurrent rehabilitation" – it is crystal clear from the air that this is not happening. Also evident from the air is the army of coal trucks that crawl across the province, kicking clouds of black dust into the air. Another impact of coal mining here is the huge number of road accidents involving coal transportation trucks, leading Eskom in October last year to ban the trucking of coal in Mpumalanga over weekends. Coal mining will never be clean. Nor will coal-fired power stations (there are 12 of them within an hour’s drive or less of Emalahleni). Both are a necessary evil in South Africa for the time being. But there are ways to regulate coal mining to prevent it from causing such extensive, widespread and irreversible damage to our fresh water resources, most precious arable land and critical biodiversity areas. At the moment, the kind of coordinated government action that is needed to achieve this is completely absent. Unrehabilitated coal pit. Photo by Tracey Davies. Despite a constitutionally mandated principle of cooperative governance, the Department of Mineral Resources (DMR) reigns supreme in Mpumalanga, granting prospecting and mining rights even in the face of vehement opposition from other organs of state like conservation and tourism authorities. In South Africa’s bizarre mining-environment regulatory regime, the DMR is also responsible for policing the environmental impacts of mining. It is failing dismally at this task. The Departments of Environmental and Water Affairs, and local and district municipalities, which all have an integral role to play in regulation that effectively balances the province’s different priorities, are either unwilling or incapable of making a dent in this onslaught. The Minister of Mineral Resources has the power to declare "no go" areas for mining, but has so far refused to do so. Countless organisations have called on government, time and again, to undertake an assessment of the cumulative impacts of mining on water resources, arable farmland and tourism potential, and that relevant government departments agree to restrict mining in areas which contain critical water sources and biodiversity, or which are important for South Africa’s future food security. Nothing happens. The rapid spread of coal mining and its associated environmental and social impacts is dramatically altering the economy of the province. Those who object to a prospecting or mining right application in this region are often accused by the DMR of wanting to "sterilise" minerals, with the associated implication that those who care about protecting our environment do not care about jobs or growth. The silliness of this aside, there is a different kind of sterilisation going on in Mpumalanga. Huge areas of land which have for generations created stable, long-term jobs in farming are being permanently sterilised. Even with the best post-coal mining rehabilitation (a rare occurrence in South Africa), land that has supported coal mining operations cannot ever again be used to grow crops. Tourism potential is also being "sterilised" by the onslaught of coal mining. The Mpumalanga Tourism and Parks agency (an organ of state) spends a ridiculous chunk of its time and (our) resources objecting to mining and prospecting rights in areas important for their biodiversity, water resource and tourism value – objections which the Department of Mineral Resources inevitably ignores. Private tourism projects are a risky business; anyone can apply to prospect or mine on your property, and if the spectre of coal mining on your land or that of your neighbour looms ever large, why invest in the future? Coal mining companies predictably argue that they are better job creators than agriculture and tourism, but even the biggest mines employ surprisingly few people full-time. Many of the new coal mining projects are short-term, with life-of-mine projections of between three and five years, and maximum employee numbers of less than 100 people. South Africans have been browbeaten into an unquestioning acceptance of the untouchability of the mining industry. Those who attempt to challenge or raise questions about any aspect of the way that mining takes place in this country are either ignored or accused of being "anti-growth", "anti-jobs" or just generally not smart enough to understand the economics. Until more of us start to question this dominance, and the sacrifices we are making because of it, and to insist on better planning of mining, better protection of the scarce resources that mining permanently destroys, and better compliance monitoring and enforcement by the Department of Mineral Resources, mining companies will continue to ride roughshod over our future, and mining will continue to trump our rights to clean water, food and an environment not harmful to our health and well-being. 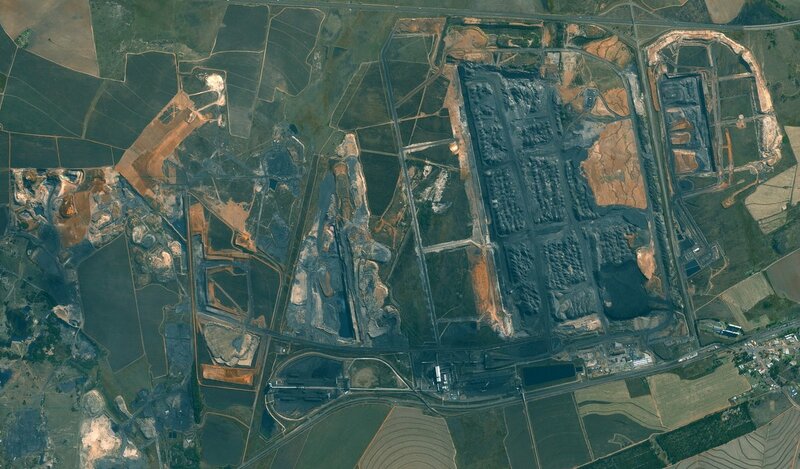 SPOT5 satellite imagery (2013) of open cast coal operations in Mpumalanga and encroachment on surrounding farmland. This is a GroundUp News article. Copyright © GroundUp and Tracey Davies, 2014. The text of this article and its images are licensed under a Creative Commons Attribution-NoDerivatives 4.0 International License except for the images accredited to the Mpumalanga Tourism & Parks Agency, which are published by a government agency and therefore considered to be in the public domain.